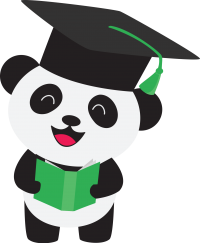 Create Feedback and reports for your online ESL teaching with the students, courses, and templates saved in your FeedbackPanda database. 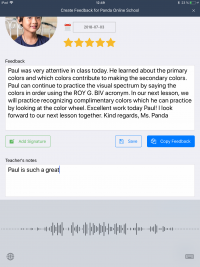 Use FeedbackPanda to create feedback and prepare for classes from anywhere. 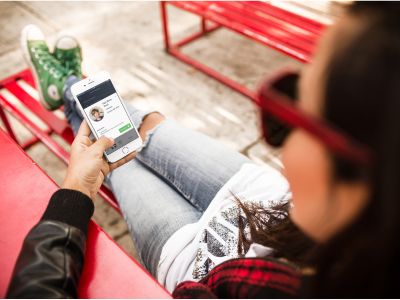 Whether you are at school, on the beach or at the soccer field, you will never miss a deadline with the ability to create feedback in your pocket. 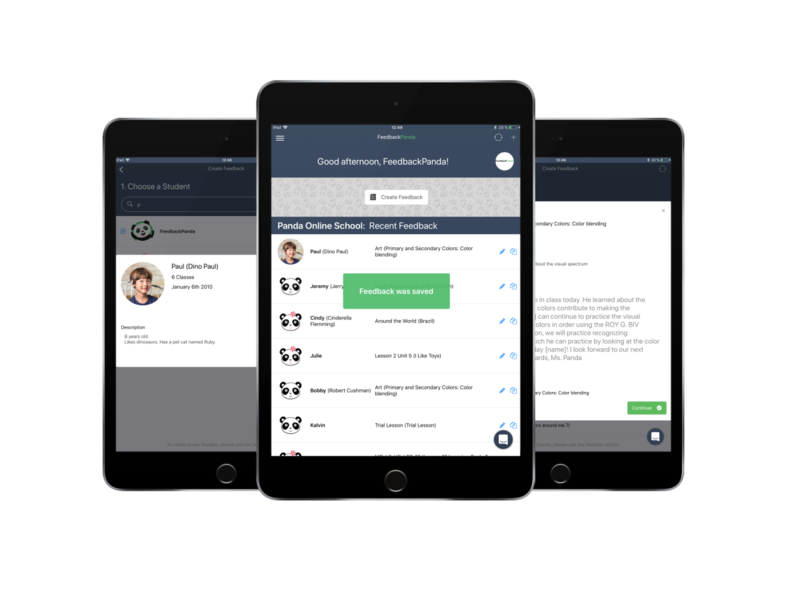 With FeedbackPanda’s mobile app, you can finish up notes from today’s classes and prepare for tomorrow, in the spaces between, keeping everything organized and synced across desktop, tablet, and mobile. 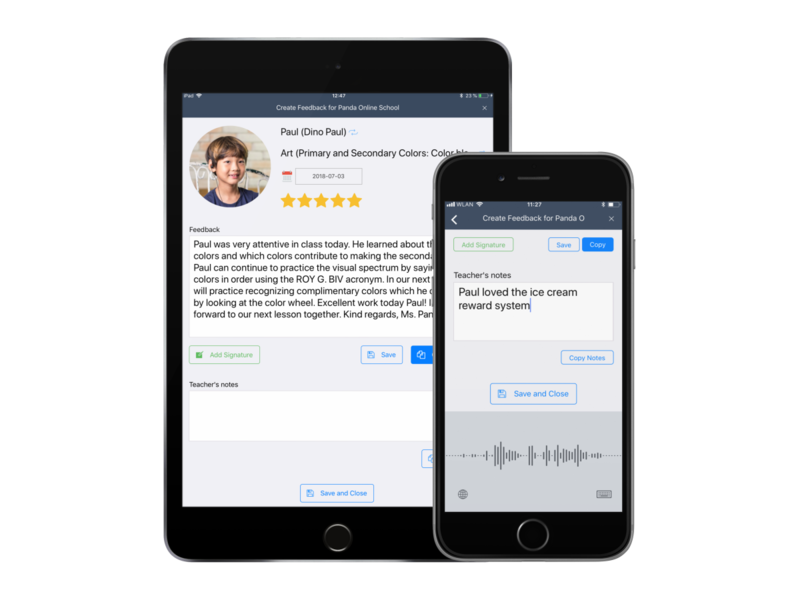 Sync records automatically across any computer, phone or tablet. 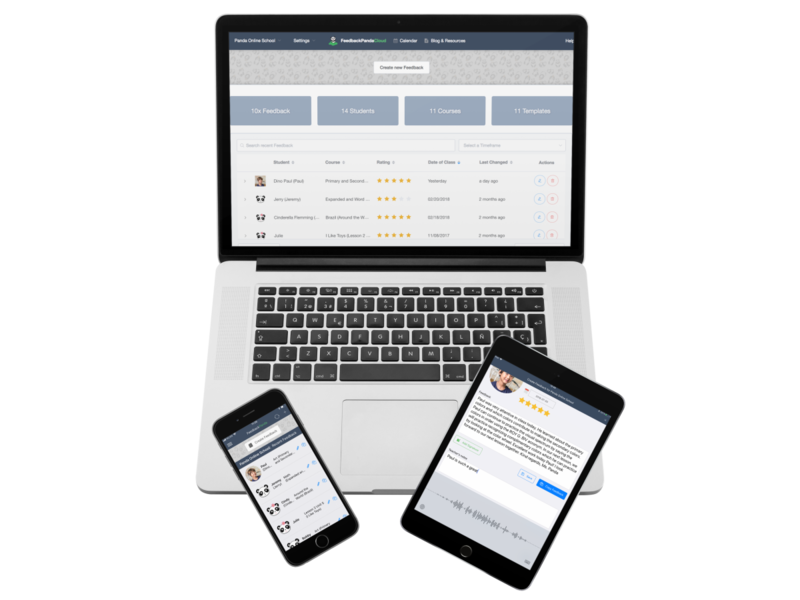 Reference Student, Course and Feedback records to prepare for upcoming classes.